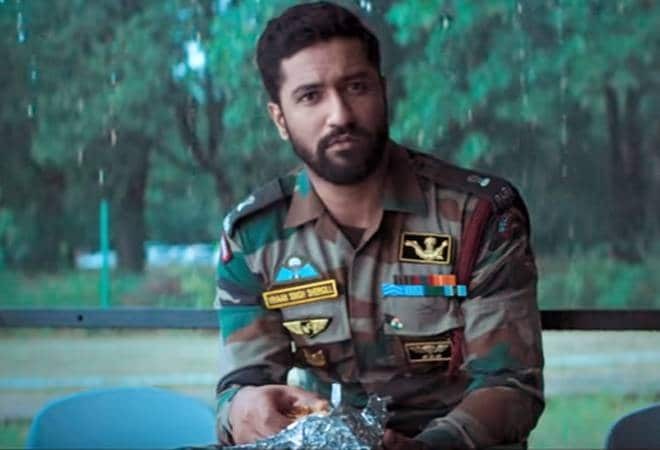 Vicky Kaushal who saw a rather brilliant 2018 with releases like Raazi, Manmarziyaan, Sanju, Love Per Square Foot and Lust Stories is gearing up for the release of his most important film yet, Uri: The Surgical Strike. While Uri: The Surgical Strike does not have big stars in the case, it has a few things working in its favour. To begin with, Uri is a rather touchy subject for Indians. While opinions are divided on the surgical strikes, the timing of the release of Uri: The Surgical Strike, along with the content is likely to bring in audiences to the theatres. Releasing patriotic movies around January 26 and August 15 is an oft-undertaken strategy. Moreover, the Pongal/Sankranti holidays are only going to add to the Uri: The Surgical Strike box office collections. Good promotions are also likely to help Uri: The Surgical Strike go a long way. While it is a military drama, the surgical strikes are also very fresh in the memories of Indians and audiences who would want to know more about the events would go for Uri: The Surgical Strike. JP Dutta has proven that military dramas can become blockbuster hits. Re: Border. Another factor that could work well for Uri: The Surgical Strike is the lead actor - Vicky Kaushal. Kaushal is a recognisable face in the film industry by now. His earlier performances have made sure that people relate to him. His portrayal of Major Vihaan Singh Shergill may just bring him to the big league. However, as is the case with Ayushmann Khurrana or Rajkummar Rao, audiences may not necessarily opt for a Vicky Kaushal movie as he still does not have the star power of an A-lister. But, the case with actors like Khurrana, Rao and Kaushal is that they could also run away with the biggest hits of the year. For eg Khurrana's superhit movie Badhaai Ho and his critically acclaimed Andhadhun or Rajkummar Rao's Stree. That also depends on the positive word of mouth, which alone can make or break a movie. However, Uri: The Surgical Strike is also clashing with Anupam Kher-Akshaye Khanna's The Accidental Prime Minister. In Southern India also, two big releases - Rajinikanth's Petta and Ajith's Viswasam are clashing with Uri: The Surgical Strike. It is definitely likely to impact the box office collections of Uri: The Surgical Strike. Keeping these factors in mind, trade analysts expect Uri: The Surgical Strike to make around Rs 5-7 crore on Day 1. The coming weekend will prove how Uri: The Surgical Strike fares.